Our full E30 Suspension & Chassis Reinforcement Kit is a must-have for the the E30 that is driven hard or tracked. VAC offers the most comprehensive kit available! Since the E30 chassis is older and more susceptible to flex and cracking than modern cars; if you are fitting upgraded suspension components don't over look this important area!... Take care of it at the same time. 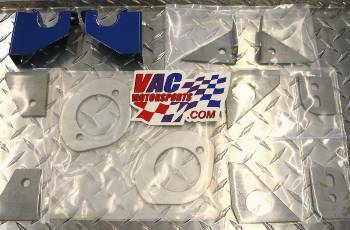 Packaged together for your convenience and best value; we have the highest quality, best fitting, most complete reinforcement kit available. Remember, fix these areas asap. Save your chassis from torn sheet metal and rust, these failures can cause loss of control and/or spin out while cornering or total loss damage to your cars chassis.